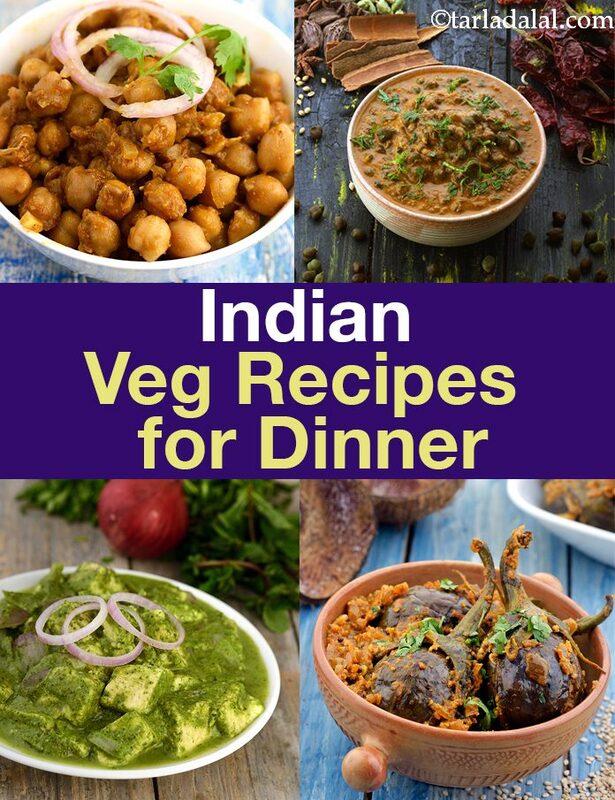 Indian cuisine is vast and food of every region is influenced not only by locally available ingredients but also, cultural background of the people staying in that locality. In any meal, the main course is the most filling course of the meal. It may be made up of a one dish meal or a combination of few dishes that complement each other and can be served together. It is common to find Subzis, curries or Dal served with Roti, parathas or rice as a part of the main course. On the other hand, dishes like biryanis, pasta and baked dishes make up one-dish meals. These are generally easy to make and are also quite filling. Vegetables and pulses cooked with an assortment of spices and rich ingredients like butter and cream makes lip-smacking gravies. Enjoy this dishes with hot naan or kulcha. Treat your palate to all-time favourites Punjabi veg dishes like Kadai paneer subzi, Vegetable makhanwala or something like Shahi Paneer. Also, you can feast upon scrumptious parathas like the cheese paratha, aloo paratha served with a dollop of white butter on top. Delectable chaats like the Chole Tikki Chaat, aloo tikki chaat also make up for a meal. From popular food like idli, vada and dosa with rasam, sambhar and coconut chutney to simple yet flavorful rice dishes like lemon rice, curd rice, tamarind rice. South Indian food is minimalistic with the use of local ingredients and aromatic tempering. Rice is an important meal and is eaten for lunch or dinner. It is accompanied with koora (dry or semi-dry subzi), pulusu (sour and tangy gravy made of tamarind, tomatoes, sour curd or raw mangoes), pachadi (a spicy and saucy accompaniment), charu or rasam (a thin, soupy dish that is mixed with rice), curds, and so on. Gujarati dinner generally consists of the humble khichdi or rotli-shaak. Roti is even sometimes substituted with bhakri. Apart from khichdi, biryani, pulao and other rice preparations are also preferred for dinner. Khichdi is generally served with curd, papad, pickle and kadhi or rassawalu shaak. Some people eat roti while some prefer bhakri. It can be relished with sabzi or dal preparations like amti, varan or kalvan. Side dishes like thecha and pickles add tongue-tickling flavor to the meal. Just like gujjus, Maharashtrian too prefer rice for dinner. The only difference is they are more spicy. Masala Bhaat, Dodkyacha bhaat, Varan Bhaat made using freshly ground masalas like malvani masala, goda masala and kala masala, is the main feature of this cuisine.